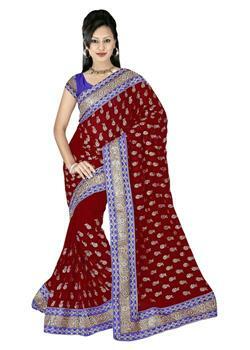 The cream and brown shaded beautiful half n half saree perfect for striking look that spread out your beauty. 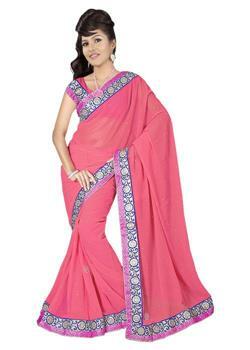 It is having the pure chiffon pallu with beautiful silver embroidered patches and the trendy pleats are prettified with rich embroidery work and rich border. 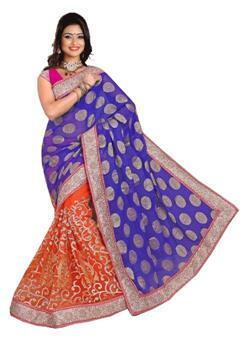 It comes with matching unstitched blouse.